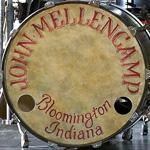 John Mellencamp Community > MELLENCAMP DISCUSSION > No Better Than This Tour Talk > Houston, TX > Going to Houston? You bet - my old stomping grounds and it has been awhile. Got great tix - in the pit, second row, and 4 or 5 seats in -- in front of Andy! I could have gone to Denver (another old stomping ground!) but could get better tickets in Houston. So stoked by the reviews of the first show - please, please, John, don't change that setlist. I have always wanted to see the Real Life in concert and it sounds like a jazzed up version of Walk Tall is there, which was on my wish list. Wish I didn't have to wait so long to see this show!! Yes!! I can hardly wait! Well, this is really cute - trying to find a hotel room in Houston - forgetaboutit!! Since I used to live in Houston, could not figure out WTF! Oh, it's only the NCAA Final Four in Houston that weekend. YIKES Just glad I had the plane reservations earlier or I probably would not be able to get there. Man, you talk about majorly pissed off. But all is working out (after 4 hours searching sites for available rooms) so we will be there. The crowds in Houston are always pretty bad, but THAT WEEKEND? Won't be able to move around at all. May end up in Galveston! Who else is going to Houston? Kind of quiet on this board. Not going to Houston, but going to Austin. Have front row tix. This will be my fourth show on this NBTT tour. AWESOME SHOW! We are beyond excited to finally get to see the NBTT tour! Sadly, this may be the only show we get to. After all the great reviews, I feel this is the show all of us Mellenheads wanted John to do for years - really showcasing his various talents. Austin is an awesome city - you will love it and it will be even more awesome with John and the band there. Way cool. Is anyone going to Houston??? Only one week left to the show! Woo Hoo! This will be our second time to see the NBTT tour and we had such a good time at the last concert. Glad to hear that you worked out your hotel problems-I was looking for a room also and ended up staying way out on the Katy Fwy, but it's all good! In case you haven't been to Jones Hall in awhile, don't forget about the underground parking in the Arts District. Maybe a necessity with all the extra traffic due to Final Four. Am really fever pitch. So glad that there will be at least a couple of other crazy Mellenhead chicks there. Since we seem to be the only ones posting. Was afraid I would be the only one totally out of control - where are the crazy fans in Houston? ?? Where are you coming from? What other NBTT show did you see - you lucky dog you! This will probably be the only one I go to this year. It has been almost 20 years since I have been in Houston - so would appreciate your help with directing me to underground parking. Thanks. The shows I have been to in Houston were all well attended and lots of crazy fans...but they seem to be closet fans. Can't explain it. My BFF and I are major Mellenheads and have been since high school! We saw NBTT in Pittsburgh last November. Completely random choice of city-we were spending that weekend together and when the tour was announced, we decided to go to whatever city he was playing in! What a blast! We splurged and did the premium packages. OMG-3 rows back in the center of the stage. He was singing right to us. I was extremely pleased that he played an amazing version of "Deep Blue Heart" and it made the trip totally worth it. The one thing I really like is that the lot is well lit and there are people there to help you, if needed. One time, my hubby locked us out of his truck . Another time, I came out from a concert and had a dead battery. Yes, tons of people will be trying to leave at the same time, but this lot shows unexpected efficiency and the lines move. Don't know about you, but I have started a countdown!! loyal Mellenhead from way, way back...was so thrilled when I found out he'd be at Jones Hall. got my tickets for Houston the minute the presale started. Best available at that time, outside of the premium package, was Row W. I couldn't believe it and was pretty disappointed at the time, but got them anyway because I didn't want to take a chance and then get something even farther back. Now today I can go to ticketmaster and find Row C?! Sure wish I had waited. anyone know if it's possible to upgrade at the box office?